Temperature records were smashed across San Diego County Wednesday as the region hit the expected peak of a mini heat wave. The National Weather Service expects another day of record-setting temperatures on Thanksgiving. The temperature reached 96 degrees in Escondido Wednesday, breaking a record set for Nov. 22 in 1950, when the high was recorded at 91 degrees. 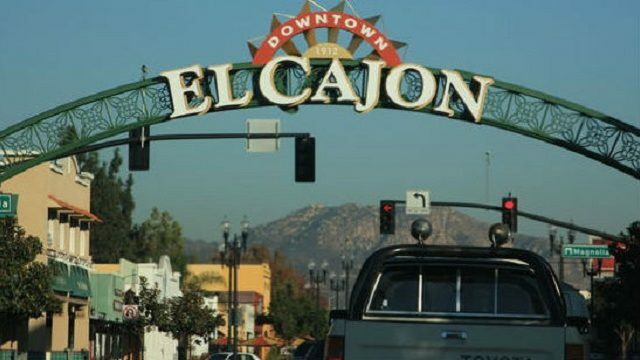 It reached 92 in San Diego, breaking the old record of 84 in 2015 and it was 98 in El Cajon, breaking the old record of 92 in 2002. The holiday warm-up began Tuesday, when most areas were about five to 15 degrees above what they’d been just 24 hours earlier. Wednesday was expected to be the warmest day of the late-season heat wave. Temperatures should be about the same or just a few degrees cooler on Thanksgiving. Forecast temperatures for Thursday are 85 in San Diego, 90 in Chula Vista and 94 in El Cajon. Fire crews were on heightened alert Wednesday thanks to the combination of hot, dry conditions and gusting winds. The fire risk is expected to be slightly lower Thursday, but a Santa Ana wind pattern is expected to return Tuesday, according to the NWS. Mostly clear skies are expected Thursday. The ridge of high pressure causing the hot, dry weather will begin to break down Friday and the weather will begin to slowly cool over the weekend, though above-average temperatures are forecast through at least Sunday.